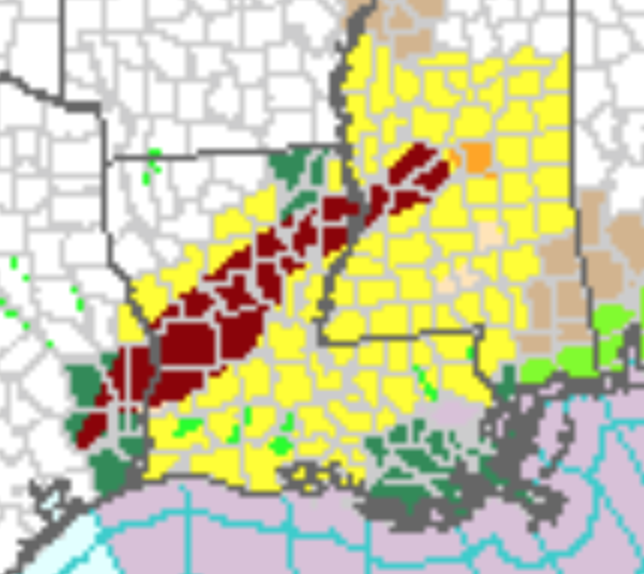 While the tornado watch (yellow) continues in effect, the threat of tornadoes has lessened a bit. Meanwhile the threat of flash flooding has increased (magenta). If you live near a small stream, be prepared for rapidly rising water. This ends our coverage for tonight.